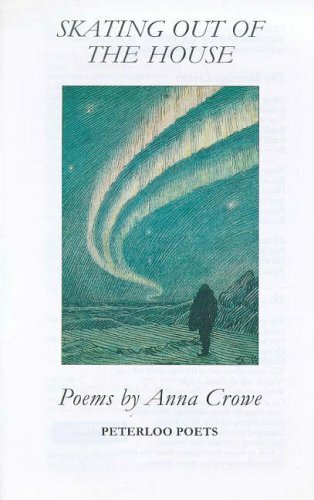 Anna Crowe is a poet and translator based in St Andrews, Fife. Born in Plymouth, which in interview she says is “as far from Scotland as one can get in the UK,” Crowe moved to St Andrews to study and settled in 1986. Three decades later, blogging for the Scottish Poetry Library, she writes that she “became rooted in the Scottish landscape.” Scotland pervades her work, but always with a nod toward her cross-cultural experiences. The poems in Punk with Dulcimer (Peterloo Poets, 2005) supply images of a Tibetan prayer-roll from India, an Italian chapel in Orkney and German prisoners of war in Scotland. The ‘punk’ of the title poem is a threatening looking Ulster man, clad in leather, who sits down on the train next to the poem’s speaker. We learn he is on his way to a folk music gig in Newcastle, where he intends to play his dulcimer. He proceeds to hold sway for an hour about botany, using language “as way above my head as, say, a sequoia” and leaves the speaker thinking “how we fear what we don’t know.” The ending broadens its scope to reflect on the troubles in Ireland and the morality of fearing people who look different to us. The ‘figure’ of the English title plays on the Catalan word for fig tree, figuera. In the poems the ‘figure’ represents both her sister and the sculptures of fig trees by Catalan artist Andreu Maimó. The titles of Maimó’s ceramics and paintings serve for the poems, and his engravings grace the Catalan translation of the pamphlet, Paisatge amb figura (Ensiola, 2011). The sequence leaps between Tregonhawke and Asine, between the containers for grave-goods in Greece – kraters and amphorae – and the clay she and her grandmother scooped from a spring in Happy Valley in Cornwall to make eggcups with. Throughout, Crowe “carefully stitches together that distant past and her own memories of childhood in a delicate but unshowy meditation on history, domesticity, and parental – and grandparental – love” (David Robinson). Crowe is an established translator of poetry, primarily from Catalan. She has contributed to a number of anthologies of Catalan poets and has translated for Bloodaxe three collections by Joan Margarit, one of the foremost Catalan poets alive today. 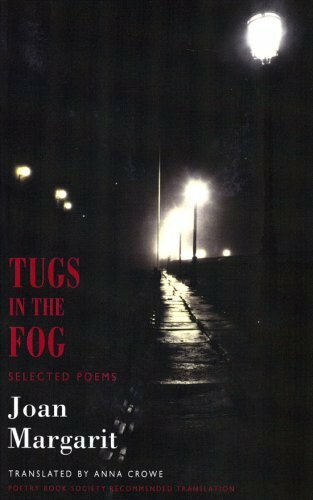 The first of these, Tugs in the Fog: Selected Poems (2006) was a PBS Recommended Translation. She has translated Josep Lluís Aguiló and Pedro Serrano (a Mexican poet, writing in Spanish) for Arc Publications. Her own poetry has also been published in Catalan. In 1998 Crowe co-founded the StAnza Poetry Festival, Scotland’s only poetry-dedicated literary festival. She was the festival’s artistic director for seven years and in that time StAnza established its reputation as one of the most important poetry events in the UK, and a major international beacon, drawing poets from across the world. The annual lecture series is a particular highlight, having hosted editors from major UK poetry publishers, as well as poets and writers from across the UK and US. Anna Crowe’s recording was made on 20th September 2016 at The Soundhouse and was produced by Richard Carrington.